When most people start their careers the trade-off to give up something for nothing isn’t hard because mostly you have nothing. That’s why so many clients tell me how happy they had been, what great ideas they had, what they experienced and felt in their younger days. The older one gets, the more the nothing becomes something, and we struggle so much to give that up simply for a chance to grow or live up to our dreams. It’s the No1 reason why people don’t have the lives they want. When I gave up my good job at Citi, 2 years ago, don’t you think I wasn’t afraid of what I left behind? I was SH1T scared (Excuse me, for using foul language). Yes, but Michael, you are 53 and you have been through the good times and have money aside. Let me share with you. I did the same thing 15 years ago and quit a similar job to become self-employed and I failed gloriously at the best times in banking moneywise. I had to start as a sales person at another bank, and not as a Managing Director with a big team. Was it all worth it? You bet it was. The first failure set me up for the second time I quit a good job to explore something I am longing for. The longing changed, but not the idea of living the life I want. Another big issue is that the loss of the trade-off is usually felt long before the gain. People want change but don’t want to wait for the result. (particular not in times of instant gratification) And sometimes it can take years for the result to materialize. However, in the meantime, undoubtedly you will grow rather than simply go after your life. You will never get anywhere interesting by doing the safe thing. The safe thing makes a living, the significant thing makes a difference. You know what I hear the most from my clients? Could have, would have, should have. Would you want to say this at the end of your life? I understand very well that there are trade-offs one shouldn’t make. Never change for the sake of change. 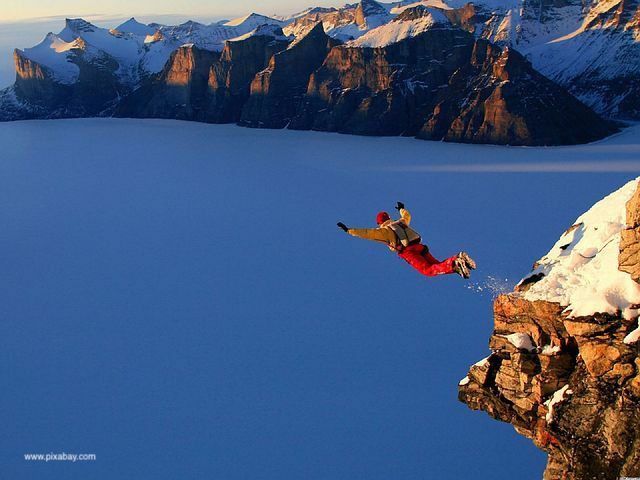 Don’t be foolish, don’t simply jump of the cliff before looking. But ask yourself very carefully, are these bad trade-offs or are they excuses, a fear of jumping at all? The biggest excuses I hear are always money, children or age, as they are the easiest most logic justification for oneself. A trade off will always costs you at the beginning and if it’s simply time, investment in knowledge/literature, a coach, whatever, however your gain is a multiple x of your investment. Risk on/off is an old expression from the banking world. When risk is “on” people invest, take more risky bets and grow their investments. When risk is “off” the wealth of their investments often stagnates, goes sideways or falls. Growth happens when you take risks, when you trade safety for the unknown, come to terms with the fact that your decisions determine rewards and consequences, don’t trade this off for anyone or anything.